When what to their wondering eyes should appear, but a red-and-white knight and eight dragons. Oh dear! Ho-ho-ho, boy. . . these knights are dim. Christmas is my favorite holiday. So when this manuscript from the prolific and wonderful Joan Holub (Little Red Writing, Mighty Dads, Zero to Hero) landed on my roof like Santa and his sleigh, I was jingle all the way. Three dim knights attempt to fend off a bearded, red-clad and would-be invader—all the while mistaking his true identity and purpose: to spread good Christmas cheer all over the kingdom. Full of merry puns and misunderstandings, The Knights Before Christmas brings holiday hijinks to you and your family to enjoy this and every Christmas. The Knights Before Christmas is published by Christy Ottaviano Books (an imprint of Henry Holt books for Young Readers). BTW—you may enjoy my Yule Rule playlist on Spotify. Its the most merry mix for your castle this Christmas. Crank it up, Kringle! "A royal romp of holiday pratfalls and punnery. Yule love it!" —Tom Lichtenheld, bestselling illustrator of Goodnight, Goodnight Construction Site. "A royal delight of a book! Sure to become a favorite holiday read-aloud in every household throughout the land!" —Judy Schachner, creator of Skippyjon Jones series. Selected by Canadian Family as one of the 25 best Christmas books of all time. Pottery Barn Kids holiday book selection. 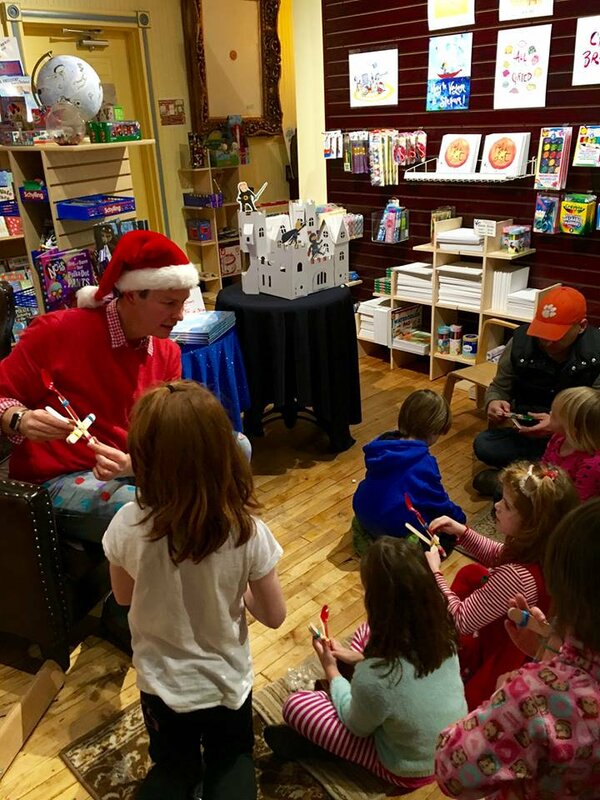 The Logonauts bloggers call it a "holiday hoot!" Three Books a Night nobly reviewed Knights one night. 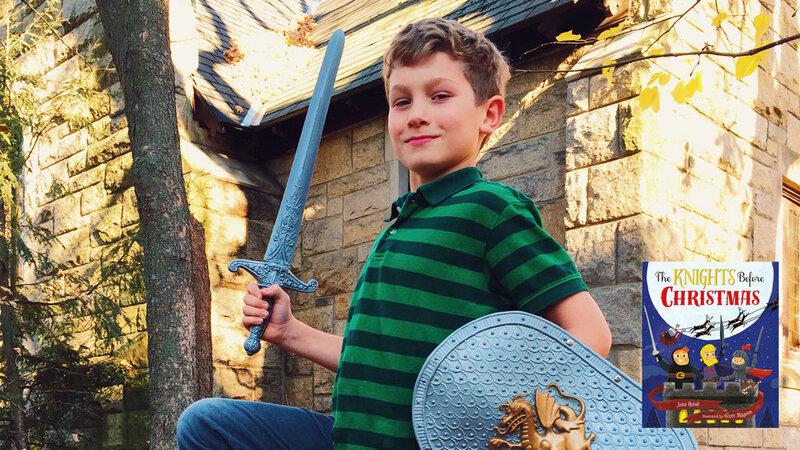 I ran a "Be A Knight Before Christmas" campaign—post a pic of a your little knight and win a signed copy. Here are the real Knights before Christmas! The Knight Family created these t-shirts for their family reunion/Christmas party. Here are some sketches I created while working on The Knights Before Christmas. I worked on the lighting and coloring of the castle a good deal. I really like this monotone version of it. Then I started to experiment with color and lighting effects. Moon in back, torches in front. These were among my first drawings of the characters from this book. I wanted them to be defined by shape and color rather than linework as I've used in my previous books. I like sketching digitally as well as with traditional pencil...this sketch is digital.